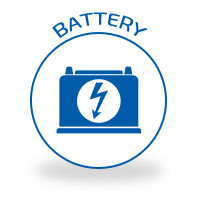 A dead car battery can be a frustrating start to your morning. Whether you left your lights on overnight or your battery has lost power, the inconvenience of jump starting your vehicle takes away precious time from your day. If the problem persists, it may indicate a bigger issue. It could be as simple as corrosion buildup or a loose connection, or as extensive as a failing battery that needs replacing. Most batteries can last their expected lifetime (usually 5 years) with proper care and use. Unfortunately, the heat and weather in central Alabama can take an additional toll. Many days, especially during the summer, extreme temperatures are much higher than the normal range recommended for batteries. This means your car battery is more prone to failure and risks a shorter lifespan during the extremely hot summer weather. How you drive can also impact the lifespan of your car battery. Frequent, short trips reduce the battery’s performance. The alternator may not have enough time to fully re-charge the battery in short distances between work and home, or the grocery store, and running errands. The certified technicians at Melton Automotive can help you get the longest life out of your vehicle battery! Regular care, including cleaning cables, terminals, and clamps, keeps your car battery free from corrosion and harmful material that reduce the performance and life of the battery. When it is time for a new battery, we can assess your driving habits and vehicle needs to recommend the best battery for your car or truck. Don’t settle for the hassle of frequent jump starts and poor performance – come to Melton Automotive to get the right battery for your vehicle and keep it performing its best.